1. 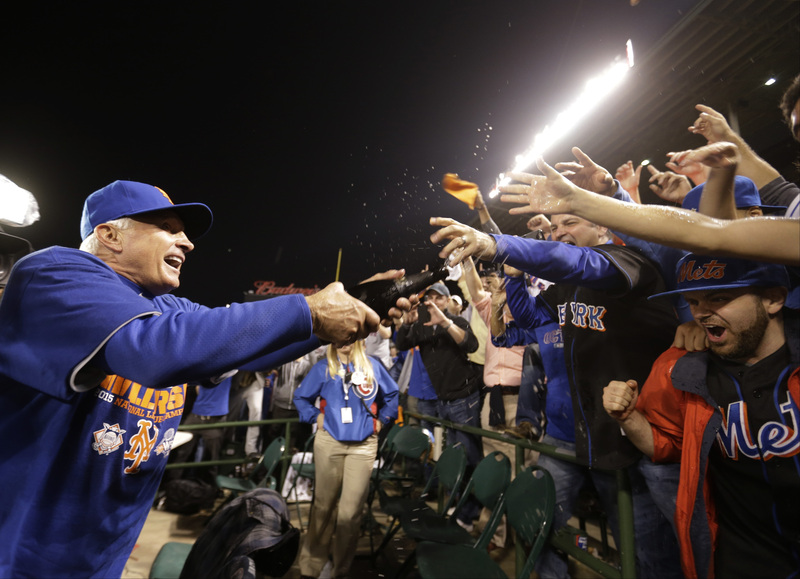 Mets sweep way into World Series. As Just Mets writes, the sun rose this morning on a Mets National League pennant. Inspired by her team’s NLCS victory, NYC Gal Out and About! writes about love and baseball. News Stitched tries to fathom Daniel Murphy’s unbelievable hot streak that saw him win the NLCS MVP award after homering in his sixth straight postseason game. 2. Back to Kansas City. Facing elimination, the Blue Jays eased their way to a 7-1 win in Game 5 of the ALCS, to send the series back stateside. Blue Jays Musings identified Marco Estrada as the story of the game for the Jays. Drinking the Royals Blue Aid is hoping for a similar outcome when the Game 2 starters face off again in Game 6. 3. Dealing with disappointment. There can be only one World Series winner, which means there are 29 disappointed fan bases every year. The Canuck Cubbie says the Cubs gave fans a season to remember and future to believe in, and markparkinson14 sees good times ahead on the North Side. Stlcardinalsminimo laments that the Mets were able to do what the Cardinals couldn’t do this postseason: get past the Cubs. Newberg Report says not caring as much would ease the heartbreak, but that’s no solution for a fan. Meanwhile, cat loves the dodgers looks at fixing what went wrong for her team. Tell us about your Three for Thursday below! 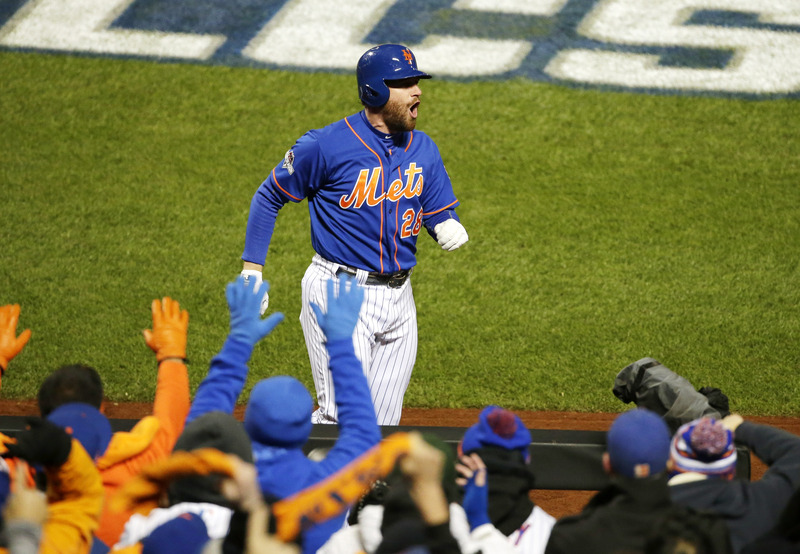 Just Mets has takeaways from the hosts’ 4-1 win in Game 2 of the NLCS on Sunday. Here’s a recap of the action in Flushing — with video — from We Gotta Believe! Trailing 2-0, The Canuck Cubbie looks at the rocky road back to Wrigley Field. Spotting and nurturing talent is key, writes Leading Technical Communication. Class Warfare Blog introduces The Cure of the Schwarbino to reverse the curse. The Royals jumping out to a 2-0 series lead pleased Drinking the Royals Blue Aid. Thoughtsandrantsinjoggingpants tells stories about fathers, sons and Blue Jays. Read this defense of bandwagoning from Jays fan and Torontonian Tiana Feng. Macbofisbil hails the greatness of October baseball and a worthwhile purchase. Following the NLDS defeat, cat loves the dodgers has some postseason thoughts. Buccosreview says that despite one game ending the Pirates season, it was special. The heartbreak still is too great for Newberg Report, so he offers something else. Stlcardinalsminimo examines the Cardinals’ needs this offseason ahead of 2016. Take a trip back to the The Summer of 1969 with A View From The Bench. Clubhouse Chatter highlights a new baseball board game using coins: Nickelball. 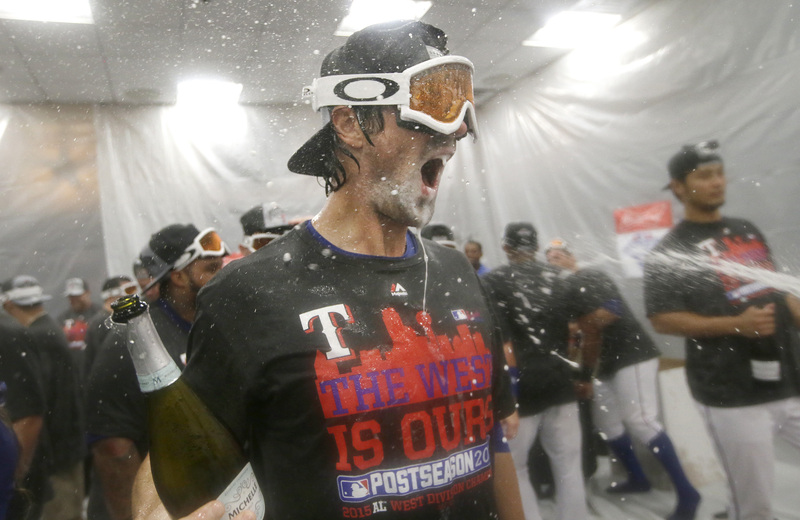 Newberg Report pays tribute to Cole Hamels for his impact on the Rangers season. The AL Wild Card Game matchup with the Astros has The Cutoff Man‘s attention. I’m Not a Headline Guy doesn’t see good signs in the way the Yankees’ season ended. Re-live the Dodgers clinching NLDS home-field advantage with cat loves the dodgers. Blue Jays Musings looks ahead at John Gibbons’ possible roster for the ALDS. MLB.com beat writer Carrie Muskat says it was quite a season for the Chicago Cubs. The Canuck Cubbie thinks the North Siders are giving their fans reason to believe. One division had the three best records in MLB and stlcardinalsminimo is impressed. The Pirates will host the NL Wild Card Game as buccosreview recaps their final series. Phillies Phollowers was there as the Phillies won their finale to avoid 100 losses. Coincidentally, an early countdown to Opening Day 2016 comes from Phillies Insider. The reigning champs fought valiantly, but Giants Fan Carm says to cue the fat lady. Our Game features a guest column with 10 thoughts by MLB Network’s Elliott Kalb. Read this tribute to longtime Sox announcer Don Orsillo by Standing Room Only. Steel city ballhawk was on hand Friday night at PNC Park for another Pirates win. Here are postseason previews from Brien O’Raighne and The World of Sports. Newberg Report digests the news that the Rangers will play on beyond Game 162. The Yankees punched their postseason ticket and The Cutoff Man has it covered. Call to the Bullpen‘s podcast previews the final weekend of the regular season. The NL Central is the best division in baseball according to Sports Stats on Tapp. Oscar’s Thoughts MLB writes up the 93rd win of the 2015 season for the Cubs. John Gibbons is giving some of his guys a rest and Blue Jays Musings approves. Just Mets explains the Mets’ situation as far as NLDS home-field advantage. Here are five storylines for the end of the regular season from The Kaba Report. Keller’s Blog revisits preseason predictions for the postseason-bound Pirates. Should we all be rooting for the Cubs this postseason as the cola recommends? Bird Land says the dethroned Orioles are heading into a critical offseason. Get in the mood for Oktoberfest with this photo gallery from SF Giants Photos. 1. 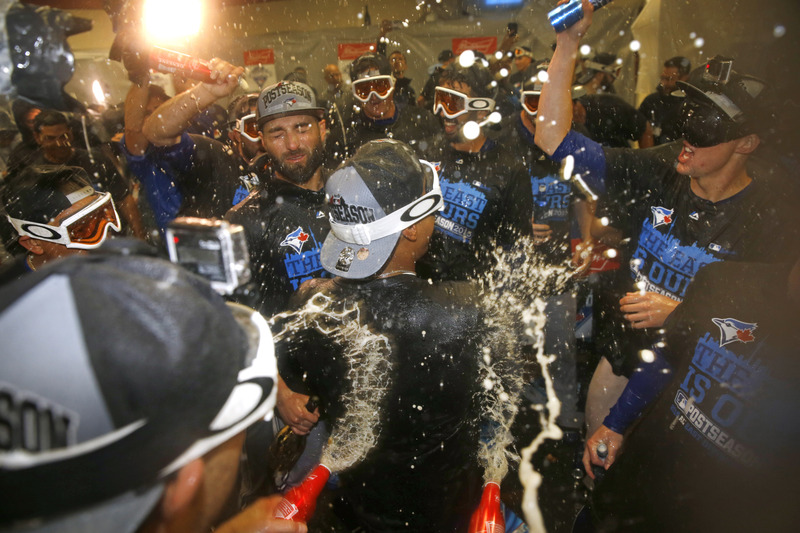 Blue Jays, Cardinals clinch division titles. Toronto is celebrating as the Jays were crowned AL East champions on Wednesday night, leaving Blue Jays Musings enjoying the achievement and Matthew Walthert feeling the love. In the NL Central, the Cardinals delighted stlcardinalsminimo by mathematically eliminating the Pirates to pop the corks. Speaking of the Redbirds, MLB.com’s Richard Justice has some high praise for the team with the best record in baseball in his Justice4U MLB Pro Blog. 2. Tight AL Wild Card race. The Halo Way posted photos of an eventful night at Angel Stadium that saw the Angels blast five homers, but still drop an important game to the A’s that leaves them on the outside looking in on the AL Wild Card race. The Yankees could’ve sewn up a postseason spot, but fell to the rival Red Sox in extra innings, leaving The Cutoff Man to lament an opportunity squandered. Chipalatta is relegated to scoreboard watching on on off day for the Astros, who currently are in the lead for the second and final AL Wild Card. 3. Teams prepping after clinching. We Gotta Believe! took a guess at the Mets’ NLDS roster, while Just Mets checks in on Jon Niese’s status for the postseason. On the other coast, cat loves the dodgers speculates as to Don Mattingly’s roster to face the Mets in next week’s Division Series and Dodger Insider writes that the team is taking measure of its pitching. Tell us about your Three for Thursday in the comments below! Looking for Dodger postseason swag? 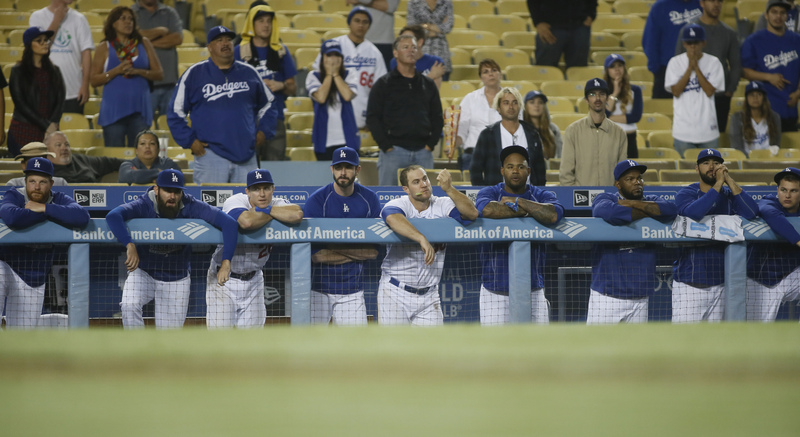 Dodger Insider has all the details for you. 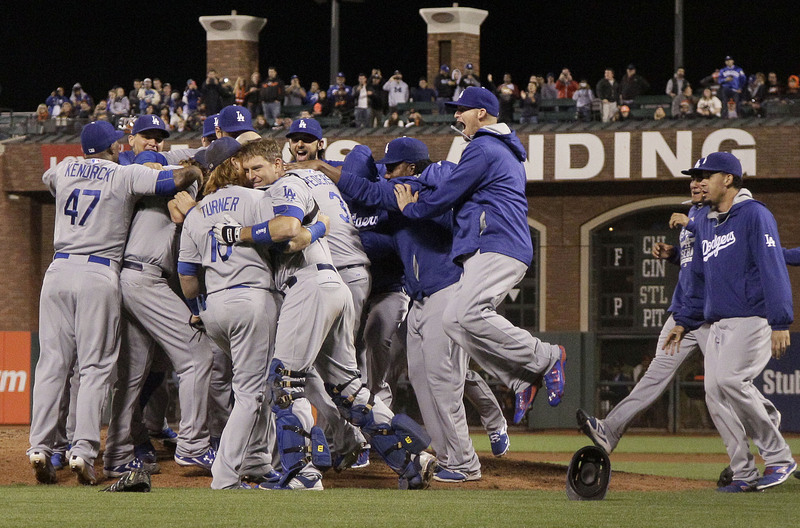 Another Girl with a Sports Blog asks some questions following the Dodgers’ clinch. How do you like Hawk Harrelson’s call in the video shared by Inside the White Sox? Agree with The Canuck Cubbie that Joe Maddon deserves NL Manager of the Year? Tom Singer wonders how the Pirates will deal with not winning the NL Central. Do you see the postseason going the same as The Walk-Off Sports Blog does? Our Game revisits a famous game from October 1951. Where does it rank for you? Who are your favorites for awards season? Sconnie Sports Talk shares their picks. On Cloud Conine wants to know if you’ve seen what Adeiny Hechavarría can do. Can you think of a more fitting birthday tribute to a dad than The Winning Run‘s? Call to the Bullpen looks at whether form heading into the postseason matters. How much adversity have the Cardinals faced this season? WWLCB recaps it all. Will you be tuning in to see how Bleacher Boy‘s television debut goes tonight? Cat loves the dodgers has appealed to the baseball gods to let the Dodgers clinch. 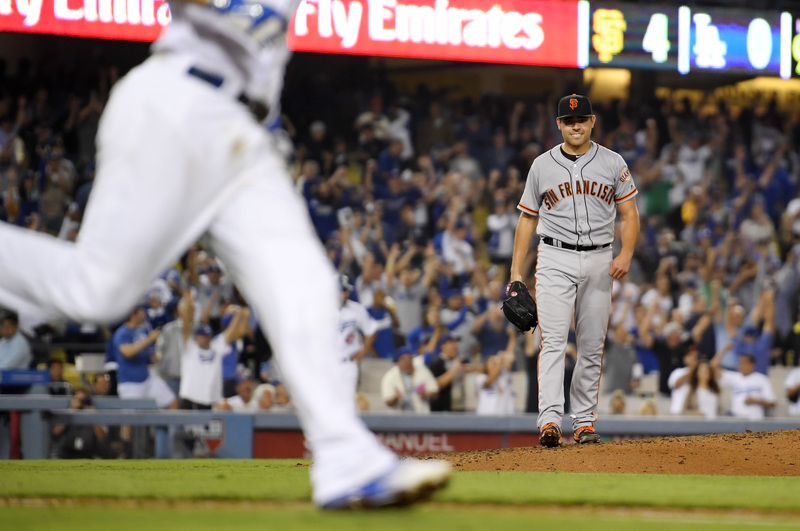 The Giants beat their ancient rivals on Monday and SF Giants Photos posted pics. The Wayniac Nation looks at some clubs enjoying resurgences this season. How much can 10 days change a division race? 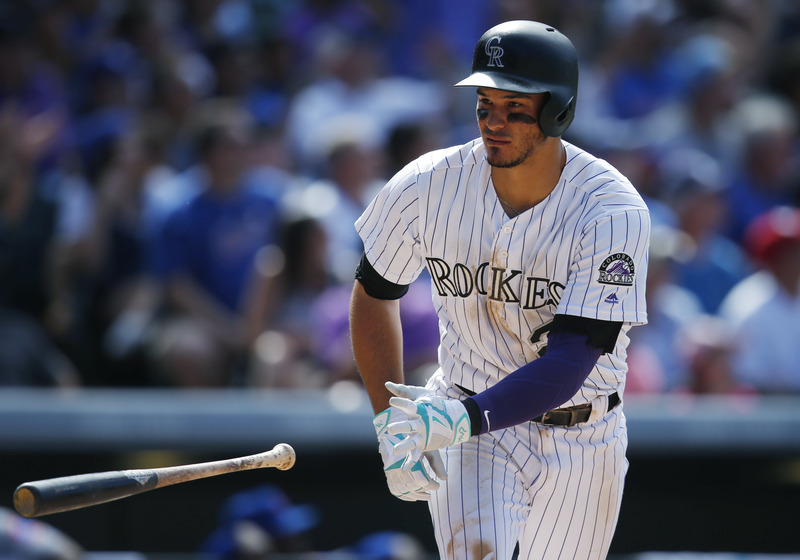 Around the Horn Talk explores. Just Mets discusses Matt Harvey’s comments on pitching before the postseason. Here are some dramatic super moon eclipse ballpark photos from The Halo Way. Joe Frisaro explains what a strong finish for the Marlins can do for the club. 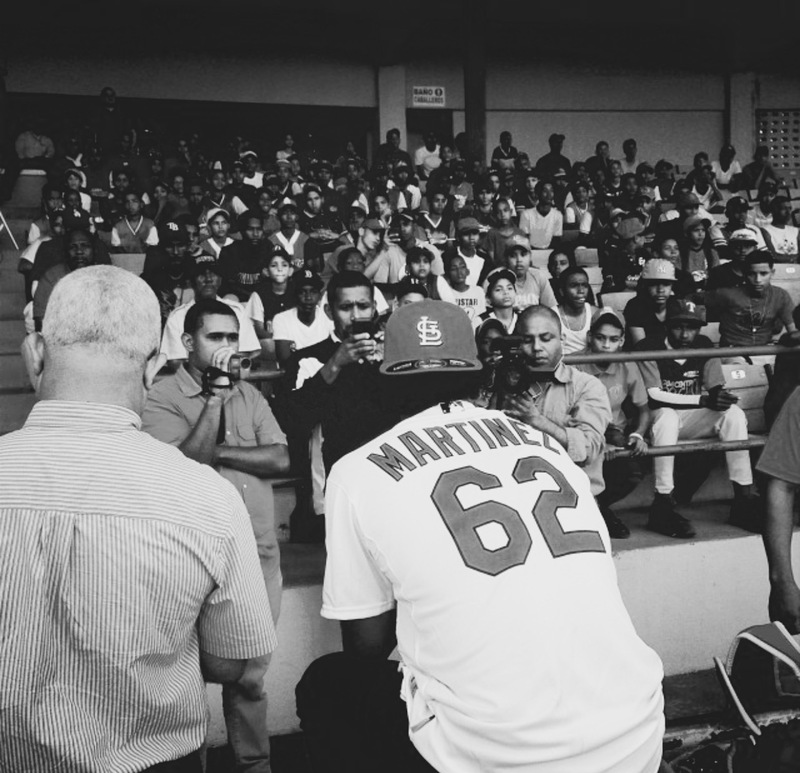 See photos and stories from the Wrigley stop on Chavez Chronicle‘s ballpark tour. TribeVibe thanks #TribeTown with details on October 3 Fan Appreciation Night. Think the Cubs promoted all their top prospects? Daniel Satter has news for you. The Distinguished Grizzly shares an updated power rankings for the final week.